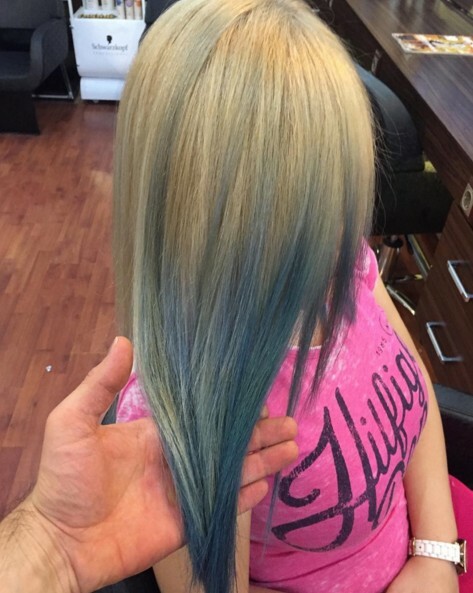 Do you want to get a new look for your hair? 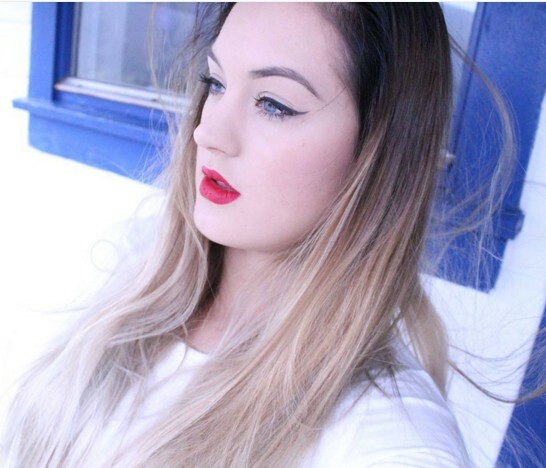 We all have to admit that ombre hairstyles are becoming more and more popular this season. It will look extraordinary to have your brunette hair styled with striking golden and metallic highlights. 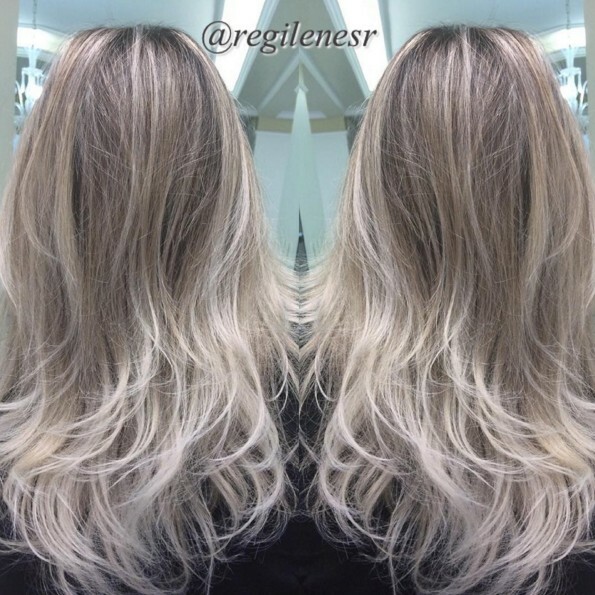 Some lowlights can be also added to emphasize the natural texture and depth. 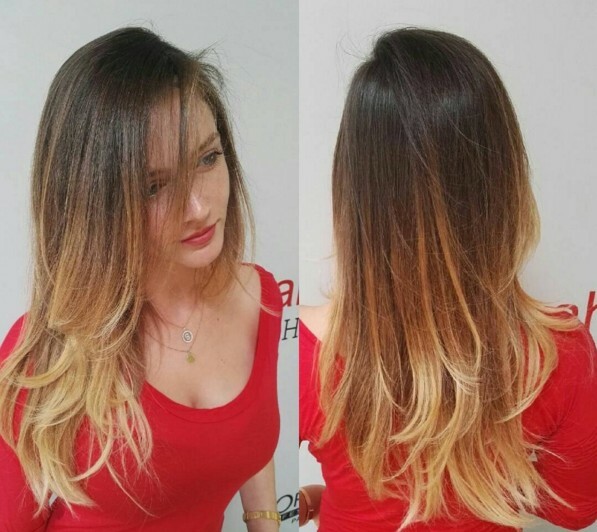 Take a look at the gallery of 25 trendy hairstyles for ombre hair 2016 below and be inspired! 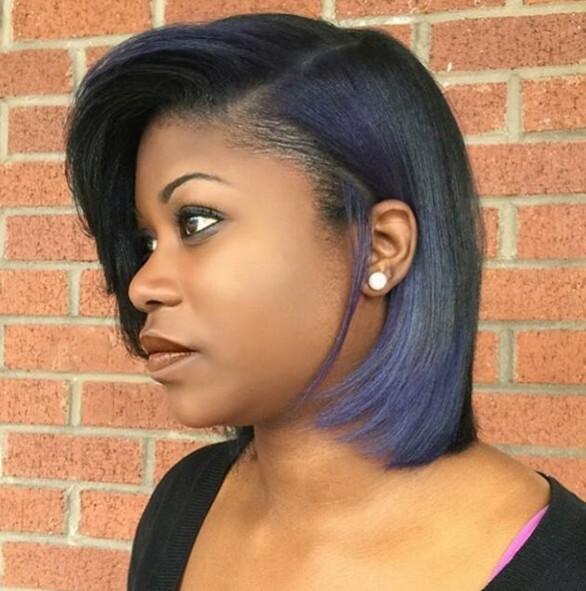 This bluish shade of ombre hair color works amazingly cool on this long straight hair. The lightening ends may lead damage to your healthy hair and weekly treatment will be required. The ombre hair can also look pretty and cute with the front sections styled into braided bangs. It has more textures in different shades of brown at the roots. 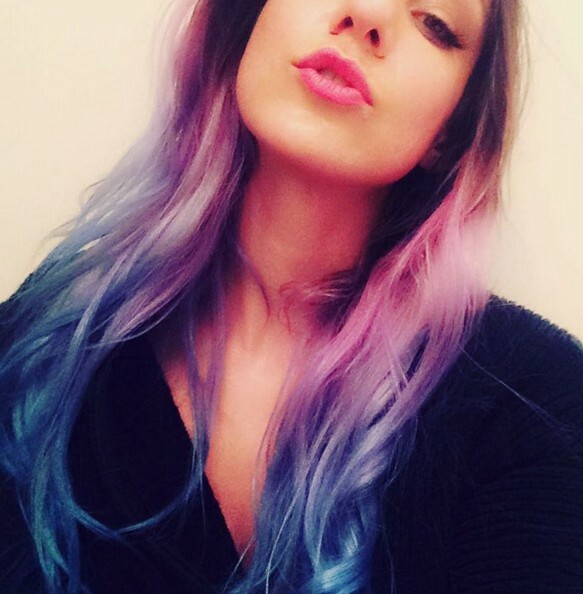 The rainbow colored hair looks really fantastic for a party or a holiday look. The beautiful purple changes into light green at the ends gradually. Is there anyone who doesn’t want to have the pretty hairstyle? 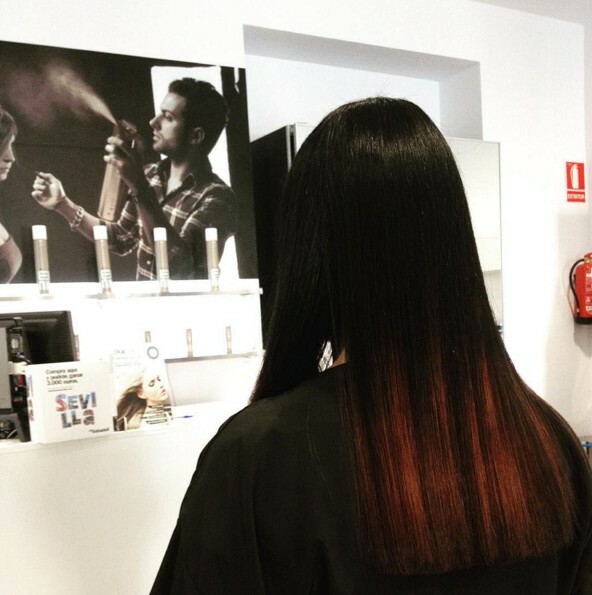 The long soft waves create a fancy and dreamy-like effect with this purple reddish ombre shade. 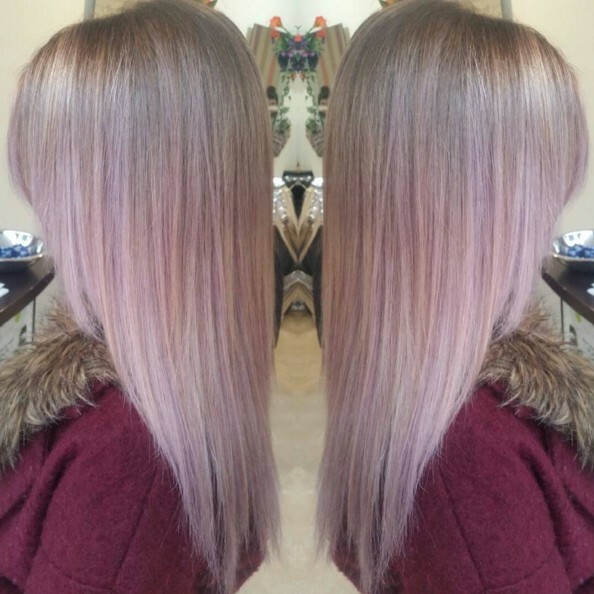 If you don’t want to be too eye-catching with the bright pink hair on street, then why not try out this grayish pink straight hairstyle for your next look? Here’s a good suggestion for those girls who have brunette hair and want to go lighter. This girl looks just like a beautiful princess in Frozen. The blunt cut bob won’t be boring for girls with a hint of electric blue at the sides. They also help to lighten up her dark skin tone and frame her round face better. 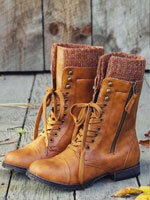 Planning to get a retro 60s’ look for your style? Well, I think this classic short bob haircut with fringe will be perfect for you. At last, the whole effect was upgraded by the warm orange colored hair. The blond wavy hair always looks so charming for young girls. Besides, this fabulous layered haircut should be a must-have look in cold winter. 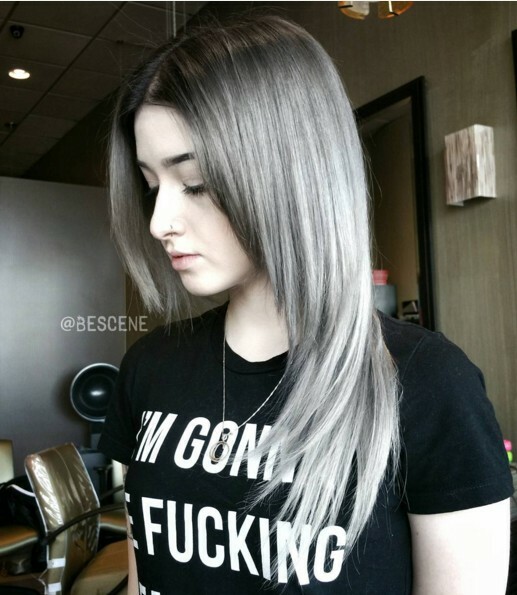 I bet you must have noticed that the silver grey hair is the hottest hair color trend this season. 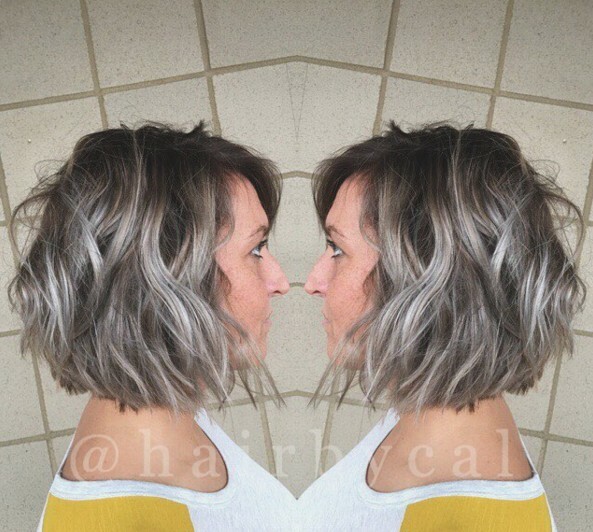 If you still haven’t realized this, this cool layered silver grey haircut is just right for you. Have no time to deal with your long hair in the morning? 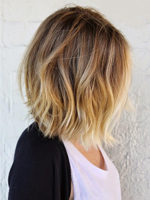 This fantastic layered hairstyle is perfect for your casual everyday look and can be paired with your any outfits. The long curly hairstyle looks way too gorgeous on ombre hair. 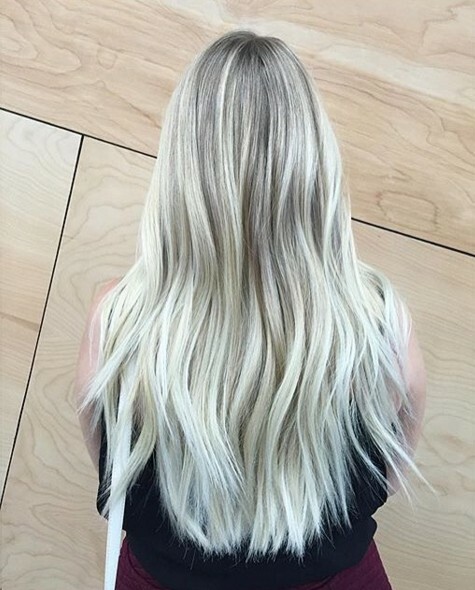 The charming blond shade changed gradually along the length of hair. 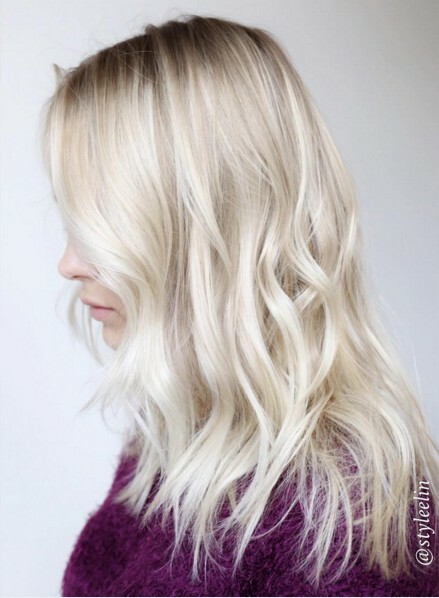 This long blond ombre hairstyle draws our attention with its blunt cut ends, which can give plenty of movement and thickness to your hair look. 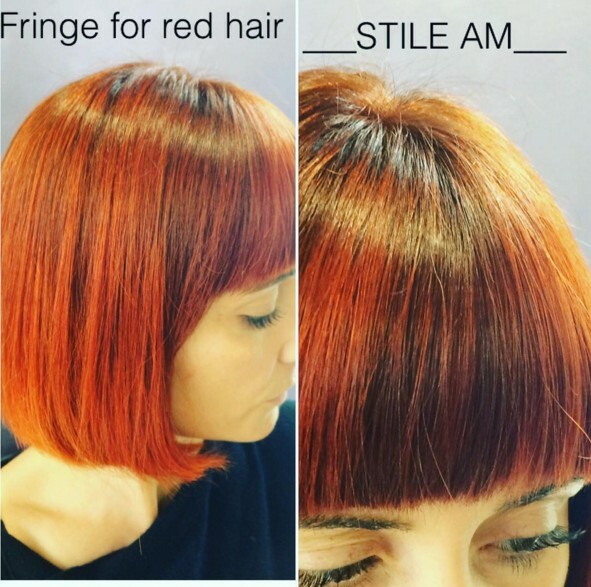 Are you looking for a way to spice up your short bob hair look? 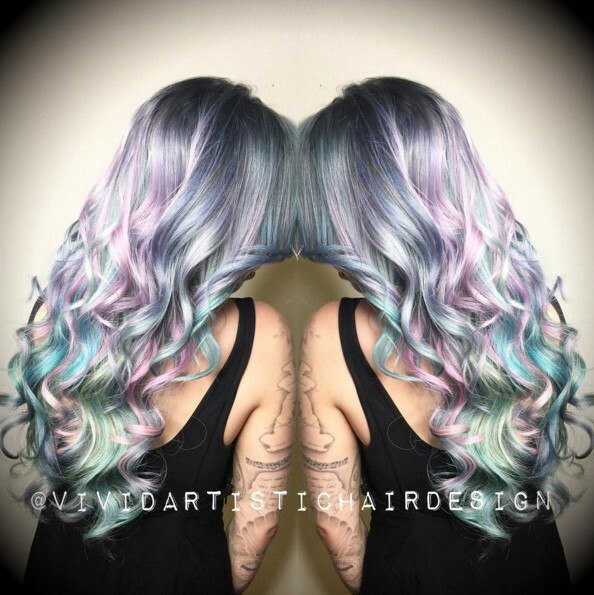 Then, style it with loose beach waves and ash grey ombre color for a modern and eye-catching effect. 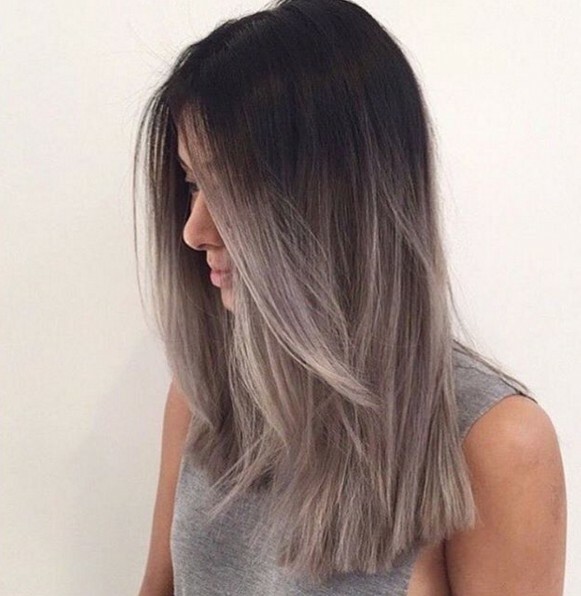 This dark grey ombre hairstyle is ideal for those girls who don’t want to go too far with bright hair colors. You can definitely wear this hairstyle to attend any formal occasions. 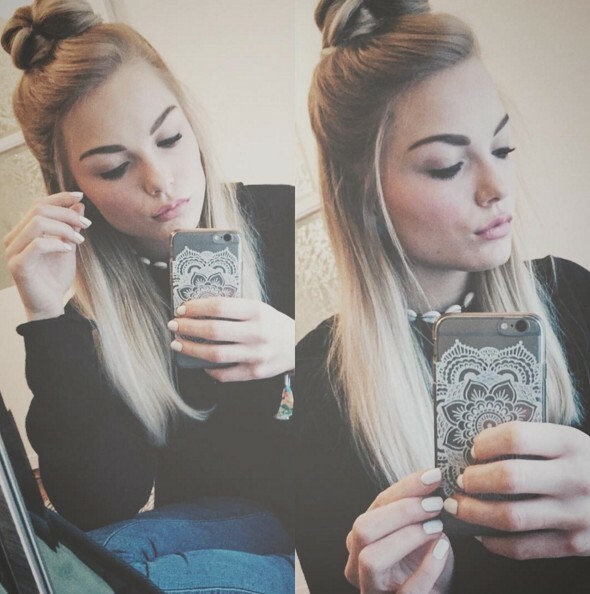 It is a great idea to make a high bun hairstyle when you need to keep your long hair out of face. Section your hair into two equal parts and twist the top part into a cute bun. The long straight hair will never step out of fashion trends for women. 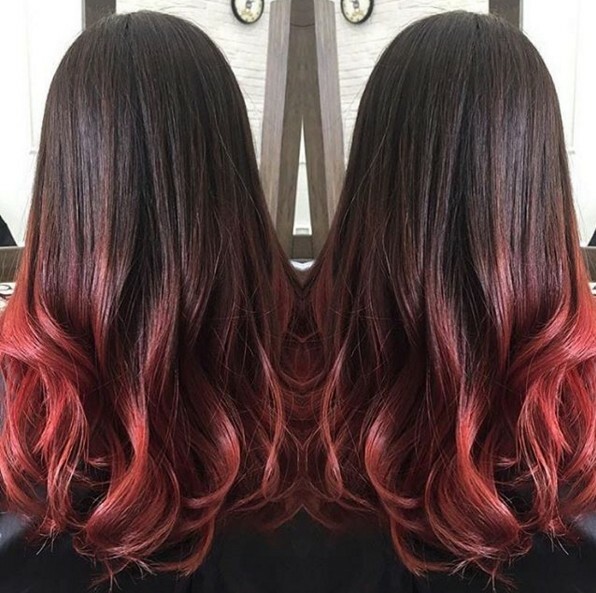 This time, you can make it more attractive with a spot of hot red color at the lower parts. 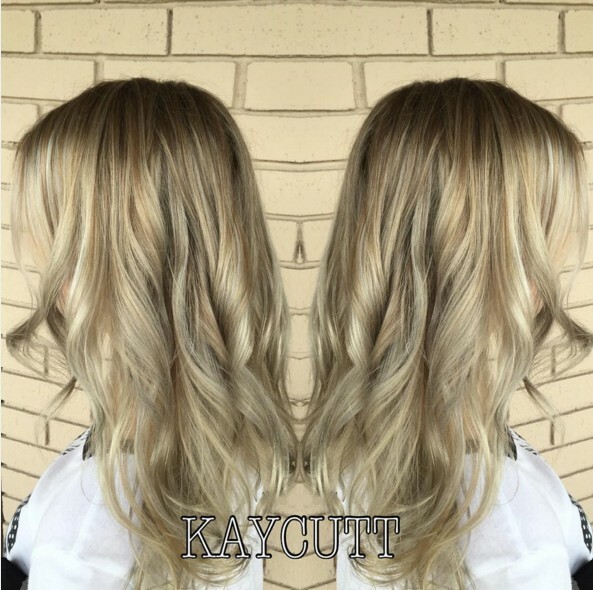 It looks quite trendy and chic to style your long hair with ash grey shade. 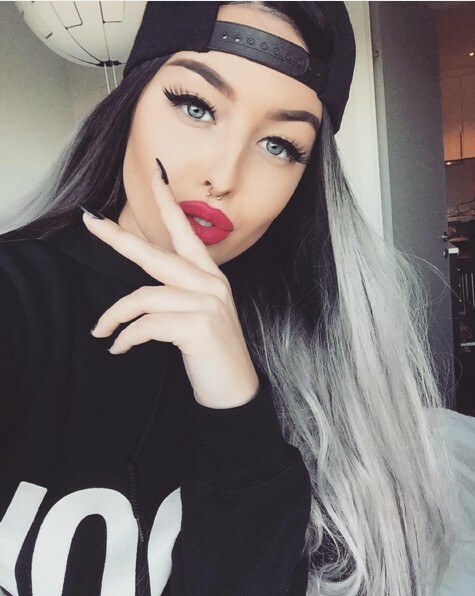 There’s no doubt that the cool ash grey hair will go along well with bold makeup and hot red lips. 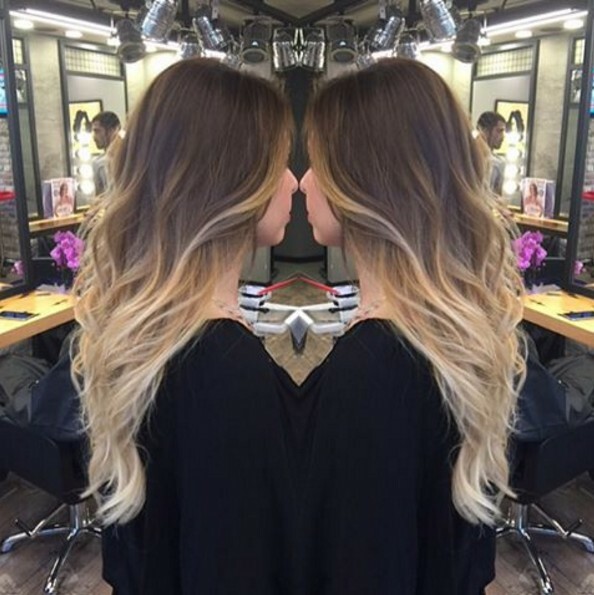 This is an impressive way to update your long wavy brown hairstyle with light blond ends. It appears very flattering and makes it work out for both dark and light skin girls. The gold blond is one of this season’s most popular choices for highlighting brown hair. You can also choose caramel, cocoa brown and honey brown instead. It makes a perfect color pattern to make the classy French braid on blond ombre hair. 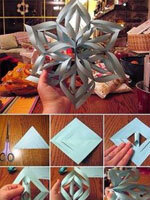 You can adjust the tightness depending on your face structure. 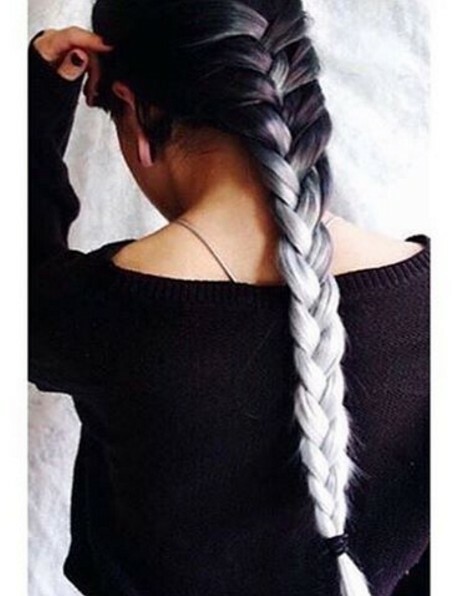 The silver grey ombre hair has been able to add a lot of interests to the traditional British braid for girls. Try out some other pretty colors if you like. The black hair regains its attention with the smashing red highlights. 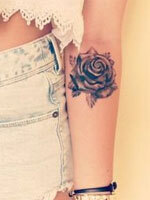 It looks like a bunch of beautiful flowers at the back view.